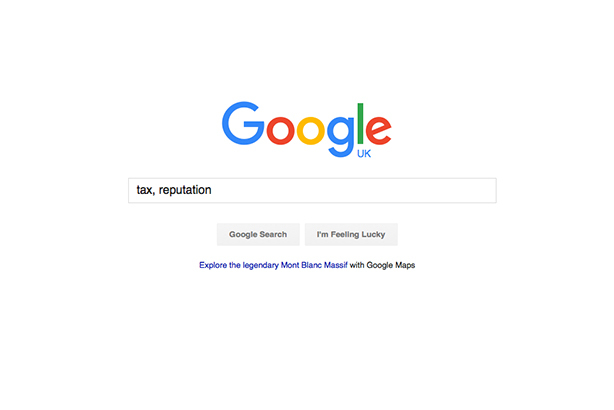 Google EMEA president Matt Brittin faced repeated criticism from MPs on the Commons Public Accounts Committee yesterday morning when he was quizzed, alongside Google vice-president of finance Tom Hutchinson, about the internet giant's £130m settlement in UK back taxes over ten years. "This is staining your reputation," Richard Bacon, a Conservative MP, told Brittin, referring to Google’s decision to rout billions of pounds a year in British advertising sales via Ireland, the Netherlands and Bermuda to avoid UK corporation tax. Bacon then said: "It must have an impact on how your employees feel about working for Google. You can’t like the fact a lot of people hate you because of this. A lot of people are very angry about this. Why don’t you face up to that?" David Mowat, another Conservative MP, said: "Your employees – and you’re growing in the UK – want to be proud of you. They want to be proud of your contribution. They ought to feel as though they work for an entity which I think your boss [said] ‘do no evil’, ‘have loftier ideals’. That’s where Google started from. "And it seems a long way from the guy that started the whole thing, coming up with things like ‘do no evil’, ‘we’re going to be a different sort of company’, to you being in front of the Public Accounts Committee, explaining why you have [the] Double Irish [tax avoidance strategy], you use Holland as well and that you use Bermuda." He went on: "Doesn’t it bother you that some of your employees might bail out of that?" Mowat asked Brittin later in the hearing if he was "worried" that Google will lose British staff because a lot of "young people are ethical these days". Many of Google’s UK staff use public services funded by tax and will have "parents who use car homes and doctors and teachers", he said. "Aren’t you worried about that in terms of your retention?" Brittin said: "We’re proud of what we do." He said HM Revenue & Customs had carried out a thorough six-year audit of Google’s, including visiting its offices in Ireland. "We want to pay the right amount of tax," he stressed. But Brittin provoked incredulity and mocking laughter from MPs when he was asked by the committee's chair, Meg Hillier, about his own salary and said he could not recall. "You don't know what you get paid?" she said. When Google reached its settlement three weeks ago, it said: "We have agreed with HMRC a new approach for our UK taxes and will pay £130 million, covering taxes since 2005. We will now pay tax based on revenue from UK-based advertisers, which reflects the size and scope of our UK business. "The way multinational companies are taxed has been debated for many years and the international tax system is changing as a result. This settlement reflects that shift and is in line with recent OECD guidance." The firm's comms chief also told the BBC that there had been "no sweetheart deal". This story originally appeared on PRWeek sister site Campaign.